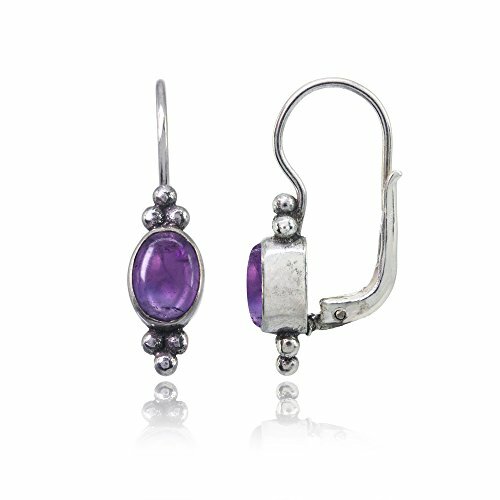 These amethyst lever back earrings are a must have item. They are the perfect accessory for an extra pop of style and sophistication. 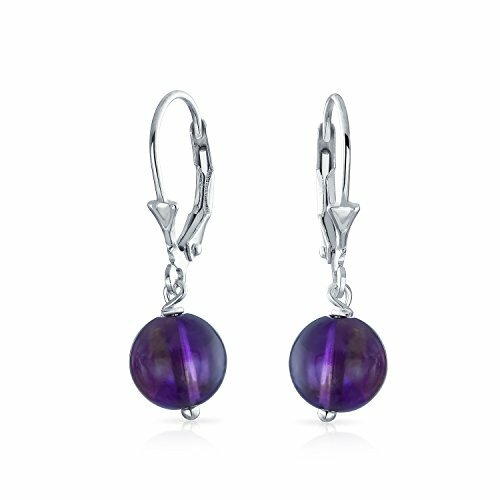 With lever back detail, which help this fashionable pair join the comfort club, these dangles are the perfect accessory to pair with daytime or evening wear. Purple is a regal color and will stand out against dark or light hair. 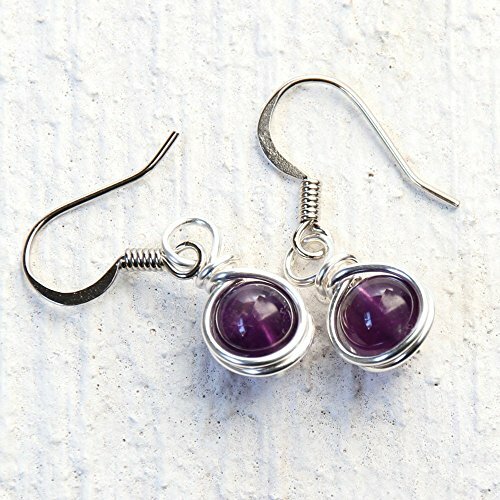 These sterling silver and gemstone drops are a remarkable value so please make sure to pick up a pair for yourself and your favorite February born girl. Made for pierced ears. 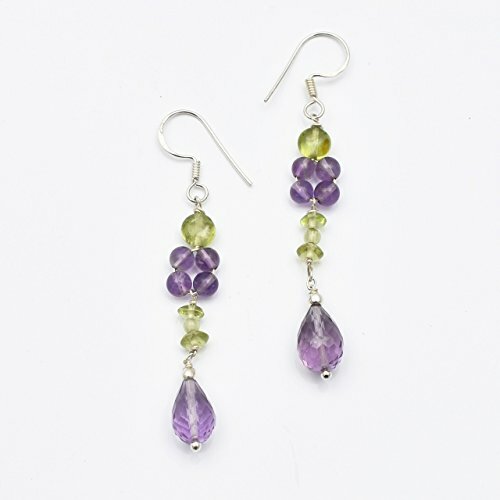 These stunning handmade Amethyst & Peridot beads chandelier earrings are finished with sterlng silver findings and are 2-2.50 inches long as measured from the top to bottom. 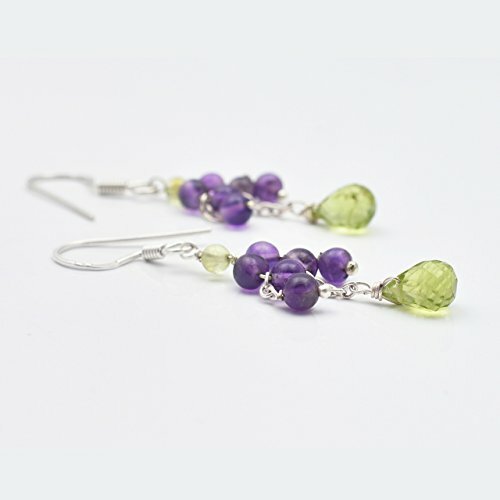 These stunning handmade Amethyst & Peridot beads chandelier earrings are finished with sterlng silver findings and are 2 inches long as measured from the top to bottom. 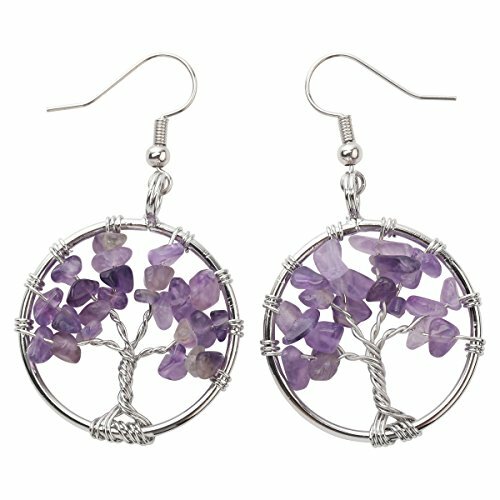 I make these small dangle earrings by wire wrapping semi precious amethyst beads with silver plated wire. The ear wires are nickel-free hypo-allergenic surgical steel and they are safe for anyone with metal allergies. 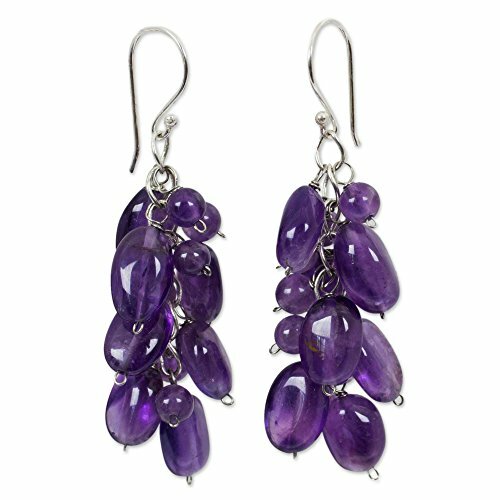 These drop earrings measure just over 1 inch long (3 cm) including the ear wires. They're the perfect length for casual wear. Your jewelry will be shipped in a beautiful organza bag.